This is a soft, gentle story, but it quickly drew me in and held my attention. The writing style is beautiful. 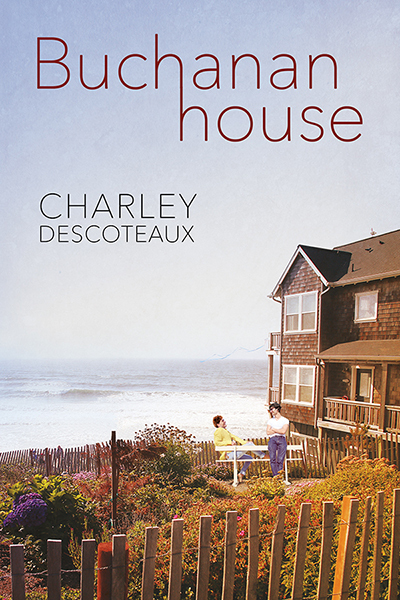 The transformation of Buchanan House from an empty shell into a welcoming retreat mirrors Eric’s transformation from insecurity to fully embracing who he is. The whole thing has the quality of hiding away for a time to heal and rejuvenate, ready for the next phase. I loved Eric. He was easy to connect to, with his fears and the ways he’d been damaged by his abusive family. The pacing of his romance with Tim was just right, and I loved that their relationship wasn’t the sole focus of the story. Eric not only learns to trust Tim but also to let go of the destructive beliefs ruling his life. The side characters are marvelous. I adored Nathan, and the affection between him and Eric is obvious all throughout. I’ll admit he’s probably someone who would intimidate me in real life, but there’s no question about how much they love each other. Tex is terrific, with her larger-than-life personality and her ability to get things done. All the rest are people I would love to know better. None of them feel like tokens or flat characters; they are all significant in some way to the story and to the myriad of social issues brought forward by the story. This story hits on some sensitive things, particularly with Eric’s unhealthy methods of avoiding things he’d rather not think about. But when he finally opens up and trusts the people around him, the end result is emotional and beautiful. Buchanan House itself is as much a character as any of the people. It’s a setting which lends itself well to ongoing tales of the people in and out of the house, whether they work or simply vacation there. I’m looking forward to seeing where this goes. This is a book in my opinion about a man, Eric, who is not so comfortable in his own skin. He knows he is attracted to men but some part is attracted to women too. He has a hard time excepting who he is especially since the only one in his family that accepted him was his grandmother. The rest of his family bullied and made fun of him and that made him to become a very insecure man and has him always second guessing himself and the decisions he makes in his life. When his grandmother passes away and she left him a small inheritance him and his best friend pull their money and by an old place and turn it into a B&B. This is the step that changes his life forever. This is where he meets Tim and his life will never be the same. I think that Tim would be considered he strong one in the relationship. He knows that Eric is having a hard time and he excepts and supports him regardless of how Eric feels about himself. I believe that because of Tim Eric is able to start believing in himself and accepting that him being bisexual or even gay is not a bad thing. I also believe that with Tims support that Eric actually starts liking himself and having more self confidence. Without Tim I do not think that would have been possible. This was such a sweet story and a good read. I am lookin forward to the next book especially to see what happens with Eric and Tim or maybe even Brandon or Nathan. 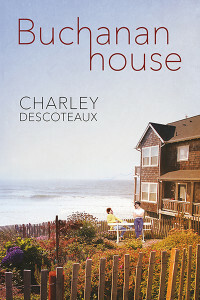 Charley Descoteaux did a good job on this book and cannot wait to read book two in the series. This was my first book by this author. It wasn’t great but a nice comfortable read. This story started out sad because Eric had just lost his grandmother but through friends he was able to pick himself up and start a new life with the money left to him by his grandmother. The character development was slightly lacking and I hope they will get better in the next books. Although I liked the characters there was no connection for me and I feel it is important to have a connection with the characters especially in a romance. I loved the plot mostly because I’ve always dreamed about staying in B&B. The writing style I felt was excellent and I was able to read this book in one sitting. I’m looking forward to read the next book in the series.